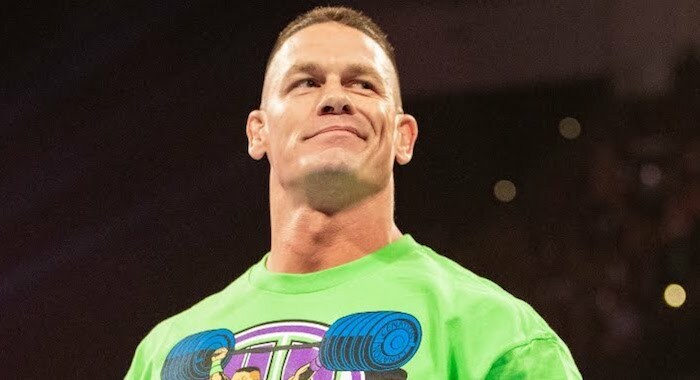 Footage has surfaced from last night’s WWE Live Event in Madison Square Garden, in which John Cena is seen watching the entrances of the NXT Superstars that made their Madison Square Garden debuts. Cena reportedly hung around to watch the match, that featured Pete Dunne, Ricochet, Aleister Black, Matt Riddle & Velveteen Dream getting the win over Adam Cole, Kyle O’Reilly, Roderick Strong, Johnny Gargano & Tomasso Ciampa. Footage via @WWEDemonDiva on Twitter.